The joint Google and Cisco Kubernetes platform for enterprise customers should appear before the end of the year, and things are getting warm between the two companies ahead of that highly anticipated release. Cisco and Google last October teamed up to develop a Kubernetes hybrid-cloud offering. Kubernetes, originally designed by Google, is an open-source-based system for developing and orchestrating containerized applications. The Cisco/Google combination – which is currently being tested by early access enterprise customers, according to Google – will let IT managers and application developers use Cisco tools to manage their on-premises environments and link it up with Google’s public IaaS cloud which offers orchestration, security and ties to a vast developer community. In fact the developer community is one area the companies have targeted recently by announcing a Cisco & Google Cloud Challenge, which is offering prizes worth over $160,000 to develop what Cisco calls “game-changing” apps using Cisco’s Container Platform with Google Cloud services. Cisco says the goal is to bring together its DevNet community and Google’s Technology Partners to bring new hybrid-cloud applications for enterprise customers. Cisco VP & CTO of DevNet Susie Wee wrote in a blog that in preparation for the Challenge, DevNet is offering workshops, office hours, and sandboxes using Cisco Container Platform with Google Cloud services to help customers and developers learn how to connect cloud data from a private cloud to the Google Cloud Platform or even data from edge devices to run analytics and employ machine learning. “For example, a factory may have data from sensors combined with location analytics from a Meraki cloud. By analyzing the data from these sources in Google Cloud, you can build predictive models to prevent outage or breakdown costs, by predicting failures ahead of time,” Wee wrote. Cisco says it will start accepting submissions in September and will choose the winners in November. Cisco has been touting the growth and impact of its own DevNet community noting t the recent Cisco Live event that the group founded in 2014, now has 500,000 registered members. "Our 500,000 strong community is writing code that can be leveraged and shared by others. DevNet is creating a network-innovation ecosystem that will be the hub of the next generation of applications and the next generation of business," Wee said at the time. Engaging hybrid cloud developers isn’t the only action going on between Cisco and Google. The companies have moved forward on a variety of new areas the first around Artificial Intelligence and machine learning. Cisco said it would bring Google Artificial Intelligence (AI) to its Cisco Customer Journey Solutions. According to Cisco, Contact Center AI is a simple, secure, and flexible solution that lets enterprises with limited machine-learning expertise to deploy AI in their contact centers. The AI automatically provides agents with relevant documents to help guide conversations and continuously learns in order to deliver increasingly more relevant information over time, the company said. The ability to schedule a Webex meeting within a Google Calendar with one click. “With an add-on from G Suite in the coming months, you'll see the Webex Meetings icon every time you schedule a meeting in Google Calendar. Click it to set up your video-first Webex meeting for the people and rooms you need, and let the technology do the rest. "People join from a Cisco video device by simply pushing the big green "join" button. Or from a Chrome browser with just one click – no downloads or guest accounts required,” Cisco said. The capacity to add Cisco calling and meetings into an Android app. Using Webex Teams Android SDK, developers can add Cisco collaboration capabilities into their Android apps. For example, customers could add Cisco video meetings into smart glasses for a “see what I see” experience between, say, an expert on land and an engineer on a ship in the middle of the ocean, Cisco said. Ability to use Google Docs, Sheets, Slides and Forms in Webex Teams Spaces. As people collaborate on content more and more, Cisco and Google are exploring ways to make the job easier. No more endless reposting of documents as people layer on new rounds of edits. Post it once, edit it as many times as you need, or co-collaborate on content more quickly. In other moves, Cisco in May took big steps toward helping customers deploy, monitor and manage on-premises and public-cloud production-ready Kubernetes-based container applications. 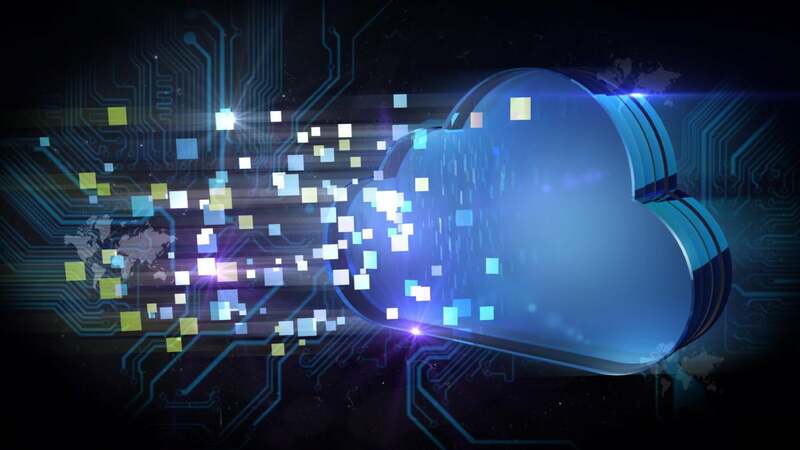 Cisco rolled out AppDynamics for Kubernetes and said it can reduce the time it takes to identify and troubleshoot performance issues across Kubernetes clusters in multicloud environments by intelligently filtering performance metrics based on Kubernetes labels. This Kubernetes-label filtering means IT operations teams no longer need to monitor thousands of threads executing a similar service, Cisco said. At that time Cisco also said its Cisco CloudCenter 4.9 will become a key element of the open, hybrid-cloud offering being developed by Cisco and Google and that is expected later this year. According to Cisco with the release of CloudCenter 4.9, users can, among other things, use interface and application-lifecycle management features to deploy and manage containerized applications in Kubernetes clusters; and deploy clusters in a private data center, which can be created by the new Cisco Container Platform. The Cisco Container Platform will be an integral part of the Cisco and Google Cloud service. Introduced in January and also based on Kubernetes, Cisco Container Platform allows for self-service deployment and management of container clusters. The first version the container platform will operate with Cisco’s HyperFlex environment with others to follow.